This 3.5 cu. 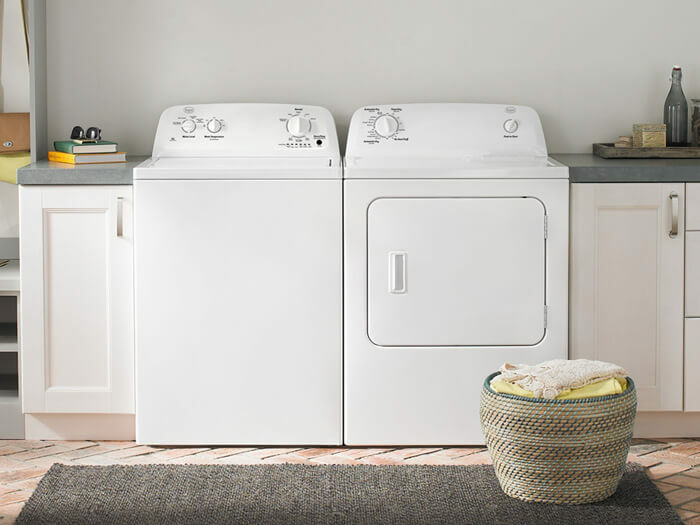 ft. Roper® Top-Load Washer provides a thorough clean thanks to the Wash-Action Agitator, which uses two, independently-moving pieces to provide plenty of wash movement. 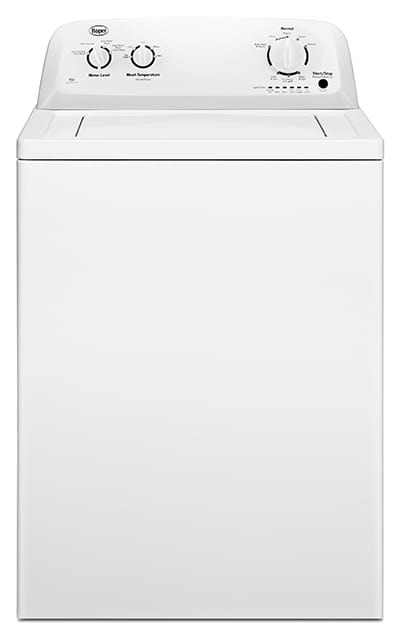 The Deep Water Wash Option* fills the tub with more water during the wash and rinse cycle. Plus, the washer’s sturdy Porcelain Tub helps protect clothes from snagging, while the Large Capacity lets you get the most out of your loads. The two pieces of our Wash-Action Agitator move independently to provide plenty of wash movement, delivering a thorough clean. Deep Water Wash Option* delivers a thorough clean by filling the tub with more water during the wash and rinse cycle. Our Porcelain Tub helps protect fabrics from snagging. Large Capacity lets you fit more into your loads. The Late Lid Lock gives you extra time to throw in last-minute items before the Spin Cycle starts. Extra Rinse Option helps remove soils or extra detergent by adding more rinse action to select wash cycles. Delicates Cycle uses a slower spin speed and wash action to deliver a gentle clean. Select the right fit for your loads with our 8 Wash Cycles. * Available on select cycles.